Several garages have been broken into and burgled in Worthing, according to police. A garage door was forced open in Wiston Avenue, West Tarring, between 9pm on Tuesday (December 19) and 10.30am on Wednesday (December 20). Brushed were stolen from the garage, police said. 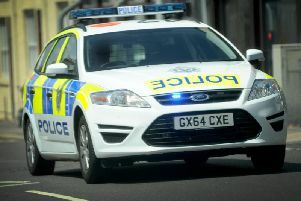 A garage in Littlehampton Road, Worthing, was broken into and tools were stolen, police said. It is not known when the robbery took place. In Shoreham, entry was gained to a garage in Emerald Quay between 8am and 7.30pm on Thursday (December 14). Two bicycles were stolen from the garage, according to police. A flat in Worthing was also broken into. The door to a flat in Heene Road was forced on Tuesday (December 19) between 7.30pm and 9.55pm. Jewellery was stolen from the property, said police. Anyone with any information should contact police by calling 101.